All the Penguins had to do was win one game this weekend, and they fell flat. 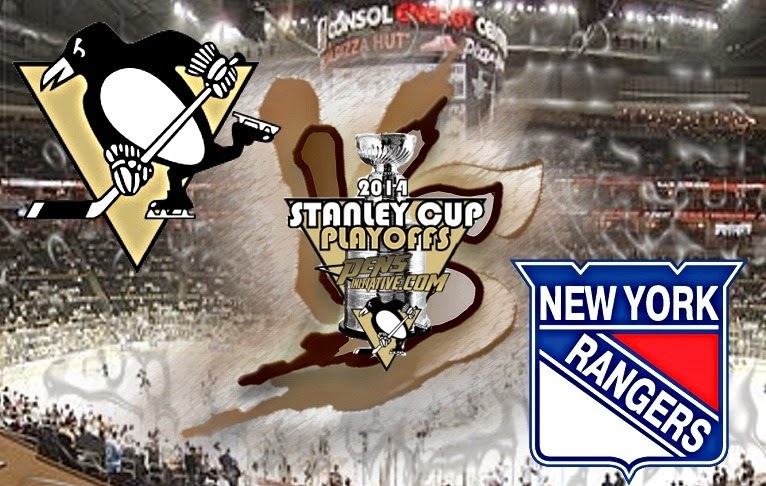 In a disappointing loss to the Rangers Sunday night, the Penguins now face a game 7 tomorrow in Pittsburgh. Martin St. Louis drew first blood with a goal 3:34 into the game, and Carl Hagelin added a shorthanded goal 6:25 in. The Penguins started to gain momentum after being outshot 12-3 with a goal by Brandon Sutter, but could not seem to get the best of a brick wall Henrik Lundqvist, who made 36 saves. The Penguins let their frustration show in the end, getting penalties from James Neal and Beau Bennett in the third. Overall, the Penguins are 2-6 in game 7’s in Pittsburgh. They will try to make it 3-6 on Tuesday night at 7:00 PM at CONSOL.